Every year there is a competition dish that is judged by a select few before everyone dives in. The current of energy is palpable and IT STRESSES ME OUT BUT I LOVE FOOD SO IT’S GREAT. 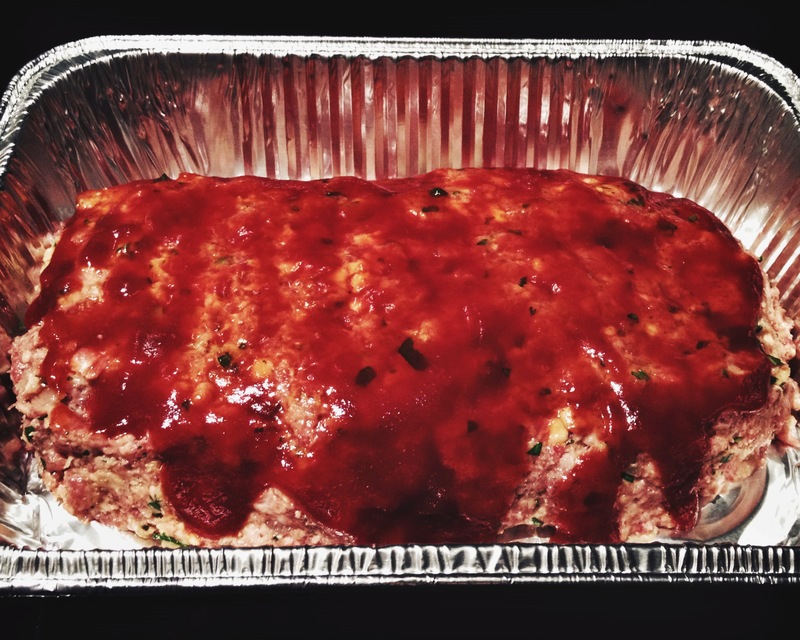 This year, the competition dish was meatloaf. This is my third company potluck but it was the first year I entered the competition. Last fall my dad made an incredible meatloaf that I’ve been wanting to make myself, so when the opportunity presented itself, I seized it. The whole potluck stresses me out so much I’ll cut right to the chase and tell you that I lost. I lost out to an incredible lady and friend, who commented on my Instagram that she might as well give up on her dreams of winning if I was competing. Humble, sweet, and talented – there’s nobody else I would’ve wanted to lose to. 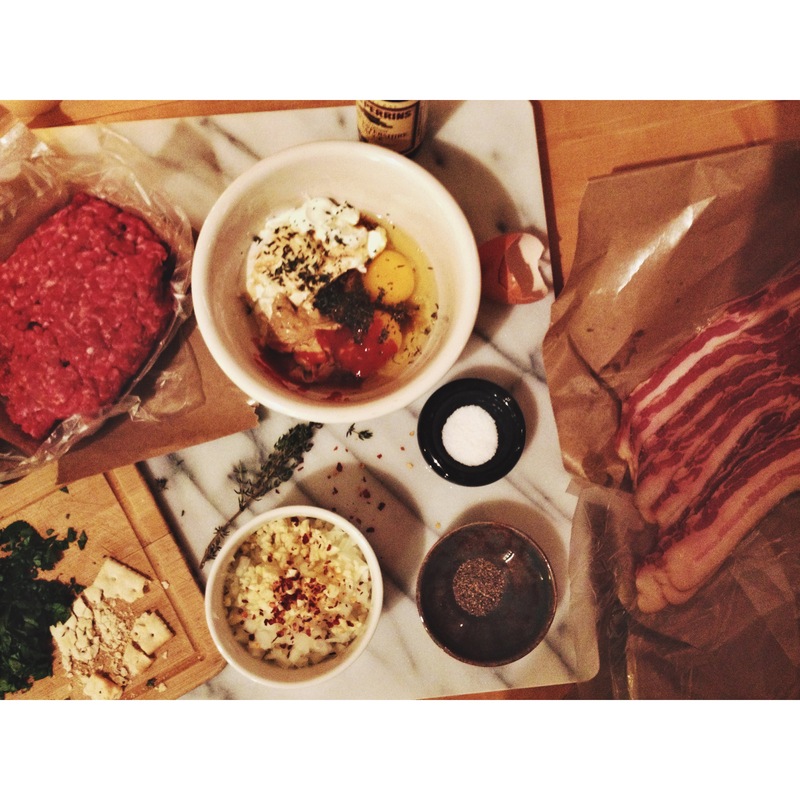 But let me tell you, this is a damn fine meatloaf recipe, no matter what the judges say. Okay?! The aluminum dish was cleaned out in no time. Hmpf. 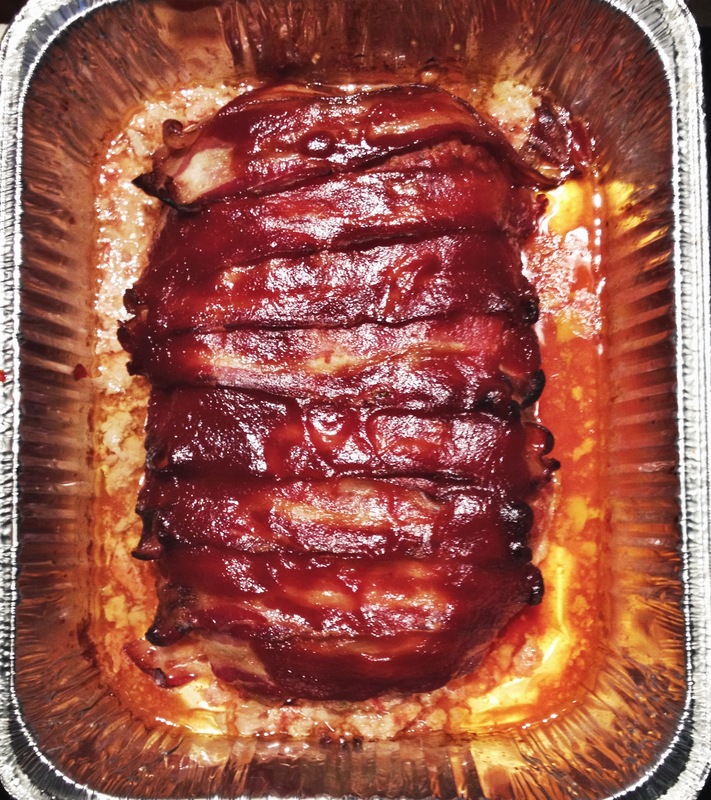 It’s a simple ground meat base covered in bacon and smothered in a brown sugar-ketchup glaze. It’s moist, succulent, and the smell of it cooking will drive you crazy. I almost skipped out on the potluck just to eat the whole thing myself. I restrained myself though. The bacon serves more of a purpose than just a delicious, sinful coating. It helps keep the meatloaf moist. Dry meatloaf. Who wants that? Not me, and you shouldn’t either. And what’s better than bacon to keep it from drying out while also imparting all that lovely, smoky flavor and indulgent fat? Nothing. 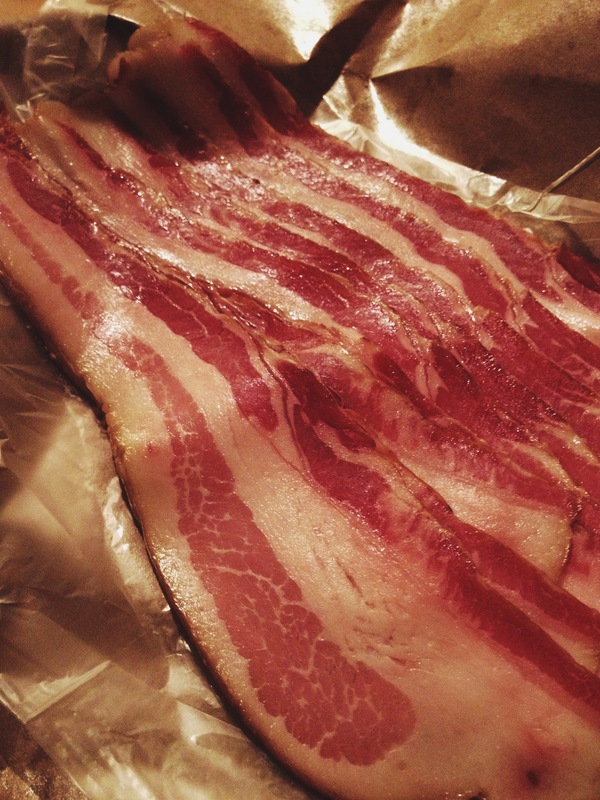 i think this bacon is BEAUTIFUL. Now, could you switch it up and try some different varieties? Sure! I would love to try this with pancetta or prosciutto, both of which I think would crisp up a little better than bacon. 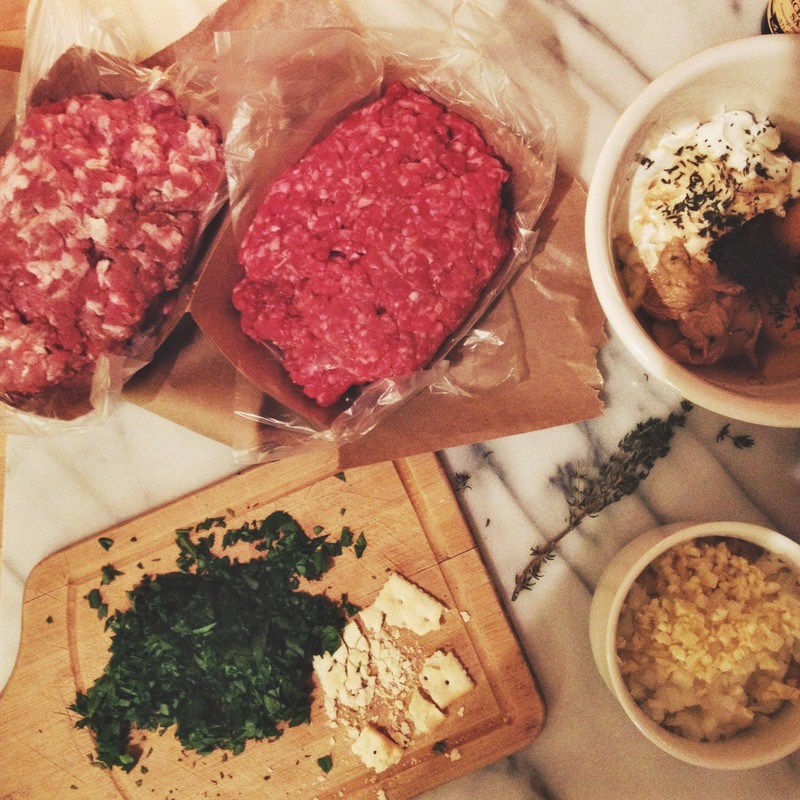 Can you add this or that to your meatloaf? Yes. I added red chili flakes when sautéing the garlic and onion. Maybe you want to bump up the sriracha and tone down the Worchestershire sauce. I feel that. As good as this recipe is from the get go, you can definitely make it your own. You’ll see there are already given options in the ingredient list. Make it a winner, y’all! Heat oil in a medium skillet and add onion, garlic, and red chili flakes. Sauté until softened, but not browned (about 5 minutes). 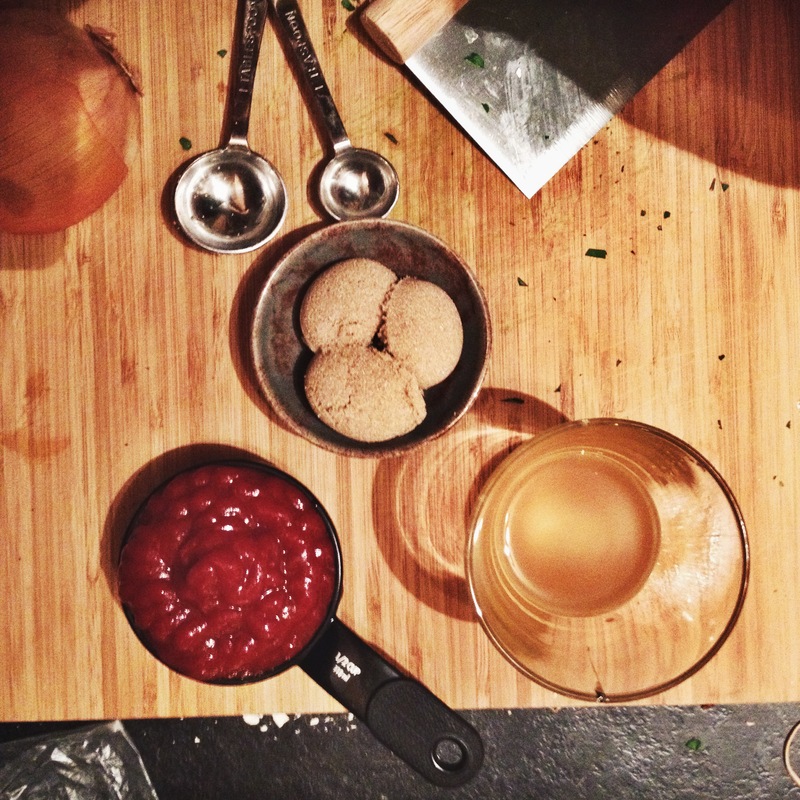 In a small saucepan, mix the ketchup, brown sugar, and vinegar. Don’t heat it yet, just mix it. In a medium mixing bowl, mix eggs with thyme, salt, pepper, mustard, Worchestershire, sriracha, and milk or yogurt. 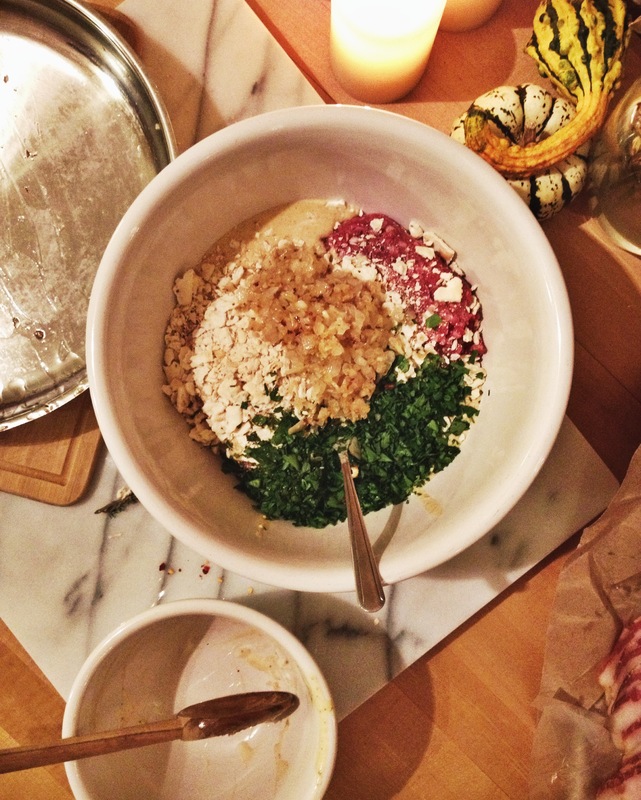 Place meat in a large mixing bowl. 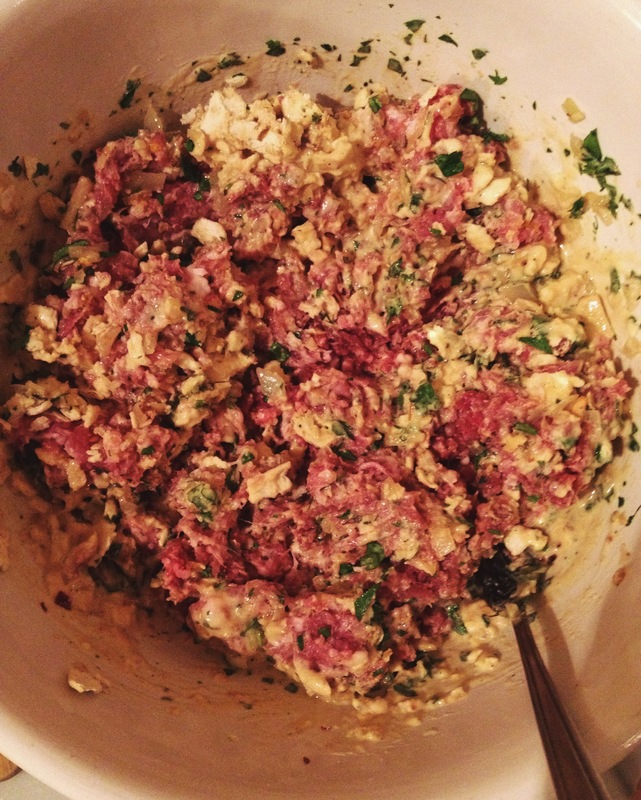 Add in the crackers (or oats, or breadcrumbs), parsley, egg mixture, and onions and garlic. Mix it with a fork or your hands. Mix just until the meat mixture doesn’t stick to the bowl. If it keeps sticking, add more milk or yogurt (a tablespoon at a time). Turn meat mixture onto your work surface (I just use the dish or baking sheet I’m going to cook it on). Pat the mixture into a loaf approximately 9×5 inches. Brush the loaf with the unheated glaze. You’ll use about half. 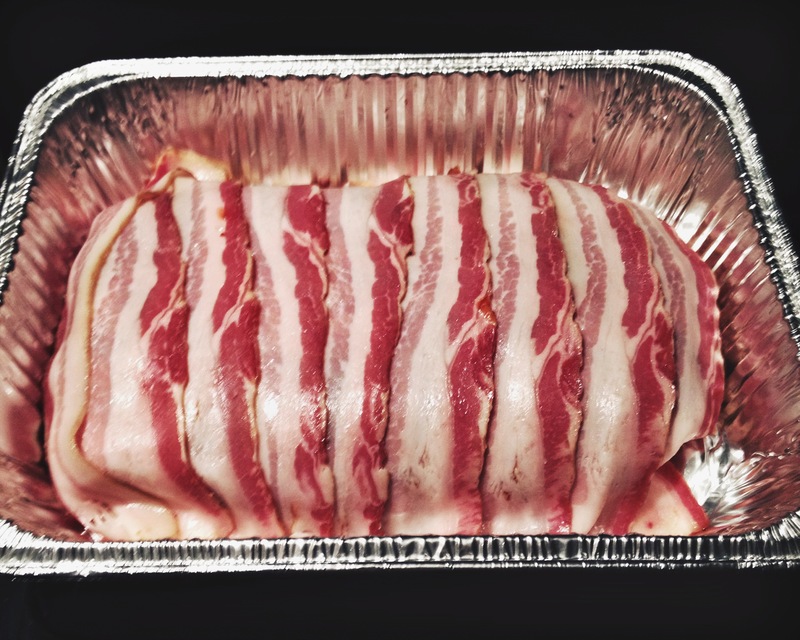 After glazed, arrange the bacon slices over the loaf. Start at one end and overlap each piece slightly. Tuck under the bacon slices as best you can. It’ll help prevent curling, but it doesn’t have to be perfect. Bake the loaf for about an hour, until it reaches 160 degrees. Let it sit for about 10 minutes before slicing. While the loaf is resting, bring the remaining glaze to a simmer for a few minutes until thickened. Serve on the side. I love you Tory Nettleton. Your meatloaf was amazing. And I love YOU, Rebecca Groff. Still bummed I didn’t get to try the winning dish with that RED WINE GLAZE OH MY GOSH.